The human mind working with the brain is a great and vast unit to be sure, and if used it works solving problems and serving the personality very well indeed. But what if I told you that you can connect to a supra-mind that is legendary and has your history of your previous lives and gathers the products of each incarnation and the wisdom of each personality incarnate? This wonderous presence of self is ever around you. This watches you working in your life to teach itself the lessons of love, hate, negative, and all the gamut spectrum of potential that are expressions of experiential realities that a soul must experience in the lower controlled body forms, before it is ready to expand into much higher realms. For many lessons of cause and effect and the products of your choosing has affected others and yourself. Overlayed with emotions or energy in motion it works with either to form, create and destroy in all its studies. You must understand that your life on Earth is really a holographic stage world that you are playing in, dressing in many bodysuits for each role. You see, the soul must not worry about good and evil or this content with fear and suppression – It must KNOW the consequences as a seasoned journeyman. This is when the soul has found its completion and ascended ignorance. So you see, there is a way to access this mind by having your self-reflection and questioning within your life. And as you do the voice of your soul will reveal the secrets to you. This is the higher mind or oversoul you must learn to find, for it is your most significant treasure that life affords you. This ultra mind stretches the galaxy and time and space. To reach this access, you must be ready for your quickening and season of expansion. It is all a question of your level of obtainment. Some new souls are still playing in the sandbox and need so much material to hold to validate their play and existence. So upon your world, there are many striations and conditions of appearances of material density. Understand this, for this is their level of soul growth in the world. Think of it as one big playground with students from elementary to college all in the same field. It is their reality grouping that collects by the same level and ranking of schooling. So to the old souls, you cannot express the wisdom of your advancement in your classes at the same level to the inexperienced. For they will not understand you and talk to their peers about you being so strange as this is only their perception of reality. When you expand, you will graduate into higher learning centres and travel. It is no different than on your worlds of learning and scholastic learning. Waste not your time with the young souls for they do not have the knowledge that you have worked, for until they do you will be wasting the air across your tongues. IS YOUR LIFE INSPIRED FROM WITHIN OR IS IT IN DUTY AS A SLAVE TO THE SYSTEM? When you awaken to start your day are you inspired to learn more wisdom, knowledge and spring to life excited? Or are you awakening because of duty and drudgery? For when you are in your element of life expression, there is an enate compelling force to create and learn after rest and to continue your soul expression. When this is the case that you are motivated, you are in your flow from your soul and unified with the flow of life. The opposite is that you would rather stay asleep and have time to get hooked into the Matrix and to start your daily routines. This is because your energy is not flowing and you are not inspired, your soul is restless and the body is toxic and out of shape. If this is your current nature there are solutions, repairs and redirections you can and need to incorporate into your body, mind and soul. The significant part you carry around your soul is the mind and body, and so connected is the machine of the body to the brain. Your bodies operate on current and voltage that is chemically connected with impulses and the essential electrolyte of within the container. So if you lack minerals and proper fluids this chemistry becomes corrupted, and the currents you need for electrical impulses become weak like a drained battery. Also, food is your fuel and combusts the furnace of your very power to move and have drive. The lighter and closer your fuel that you take into your body the more energy you will have to begin with this basic premise. So learn of the ingredients for life as there are many books and online tools to educate you. The next step is to check out your body regarding respiration and breathing, for this helps to fire the burn. Learn to exercise and breathe, for it is vital to the performance of the body. A mind is a machine and does what it is supposed to do, solve problems and seek information and pull into being the programs you ask it to. And of the heart, it feels and desires LOVE, dedication, and companionship and it needs to output LOVE and to receive LOVE. The personality that you think you are is running to mind, body, and soul for the experience. The soul has had many bodies and has a vast store of information you can access. And it is the soul that inspires the personality. Take mind to work on all the elements discussed and to get inspired and find your drive again. Seek information on health and unplug from the mundane, for you have such a splendid opportunity to give to existing. Tune up your body and be with health uplifting friends and people. For in doing so you will rejuvenate, and it is never too late to make your vehicle run better and to become dynamic again especially when you have your heart, mind, and soul behind you. Ignorance and poor health make you a victim and slave as well as being in bad habits that do not serve your purpose. Dream again, find your purpose and be the creator of your destiny, not a cog in the wheel of the system. Author theteachingsofquentialPosted on October 15, 2017 October 16, 2017 Leave a comment on IS YOUR LIFE INSPIRED FROM WITHIN OR IS IT IN DUTY AS A SLAVE TO THE SYSTEM? SEEK THE INTELLIGENCE BEYOND THE MIND, AND YOU HAVE DISCOVERED THE ILLUSION OF THE LOWER REALMS OF MATERIAL. There is a mind of the light masters and those that have ascended their lessons of illusion upon your world of material Matrix. They have learned the actual history of the civilizations that have come and gone in your solar system and scheme of things, for the lessons and the experiments of teaching the soul sparks of consciousness, self-awareness and self-being in alignment with PRIME SOURCE, with LOVE based intention and excellent knowledge and intelligence. Just as there are other races and expressions from afar that have come to watch and learn from the experiences here for each of you on Earth 3d appearance and journey. There have come and gone great technological races far beyond even your most current achievements. But there is one thing that they lacked, and that was LOVE, spiritual awareness and connection to the leadings of the higher principles of life duty and honor, woven in the building of integrity. This history goes back over 4 million years upon your knowledge of history. But there were significant wars and battles between the Lemurians of soul-spiritual based culture and the Atlantians material based societies. And in that time they populated many of your worlds in your solar systems and had advanced crafts that would propel them. They were in connection with other planets and the Annunaki, Pleidians, and Sirians were visiting and shared technologies. As time ventured the Atlanteans became corrupted, and the Lumerians became dark sorcerors and abused the higher realms and powers for self-delight and oppression. Great wars occurred between Lumeria and Alantas that were fought on Mars and on another larger planet whose remains are the Kepler belt. Mankind descended and started over again. The large colony of space-worthy travelers were in Antartica and were of the Atlantean races. A massive pole shift happened, and the planet was flash frozen at the now south pole. Today many of the world’s leaders are excavating these ruins still intact. But as they see, so does the collective mind catch glimpse like the Hundredth Monkey. The old knowledge is beginning to surface and become available for those on the paths of ascension. Study and learn all that you can, for as you learn and have informed the higher beings to guide you they will bring you on the path to deeper learning in the mystery schools. History has a way of repeating itself, for the souls of past often have not learned their lessons and bring into manifestation the same corrupted views and ideas, and must be flunked again for not passing in the 26,424 years of galaxy travel and clockwork of cycles. Gerd up your loins and sharpen your minds, great moments are about to occur on the physical as well on the higher vibrations and consciousness of mankind. Many of you are being guided and have known things beyond for many of your years. The time is now to practice and to take to heart your knowledge for the upcoming events of transitions upon the planet. As always, seek the highest knowledge and intelligence, for the Earth carnate man is linked together with the masses that have not journeyed and advanced beyond the base animal existence of mind and heart. It is time to break free of the illusion of the material, for a greater experience in the finer realms awaits those that have passed the seven seals of the release of illusion. 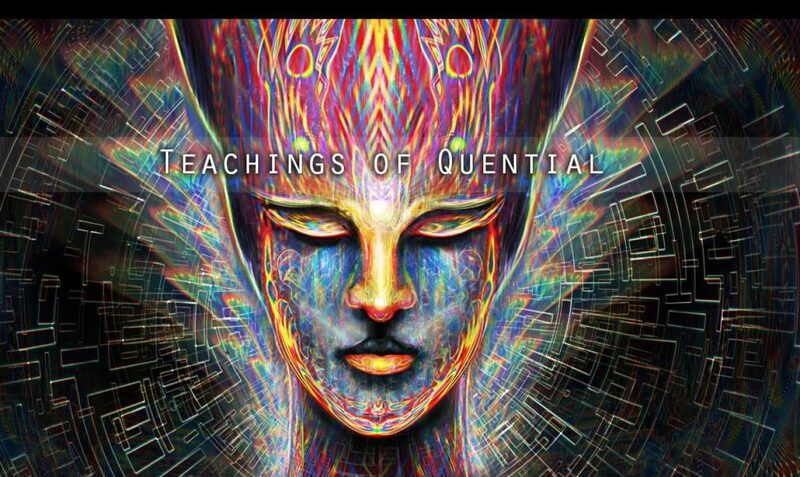 Author theteachingsofquentialPosted on October 14, 2017 October 14, 2017 Leave a comment on SEEK THE INTELLIGENCE BEYOND THE MIND, AND YOU HAVE DISCOVERED THE ILLUSION OF THE LOWER REALMS OF MATERIAL. GREAT AND TRANSFORMING ENERGIES ARE COMING INTO YOUR SECTOR AND ACTIVATING THE LIGHT BODIES AND CRYSTAL STRUCTURES. Your solar system travels around the universe in one great orbit crossing paths of other heavenly bodies and sectors, all of which have imprinted effects upon your would and consciousness as a whole. Know that your Galaxy has a binary Black Pulsar that sends out quantum radiations of various particles and energy packets, along with instructions from Prime Source for new potentials and expansions. Think of these as metamorphic life force design upgrades to excel the particles of the denser material realms into LIGHT quanta and more exceptional energy forces. As your solar system is travelling there are different seasons and energy realms your planetary bodies are bathed with. This upgrades the DNA biological forms as well as encoding messages and instructions to the crystals upon the planets. One journey takes about 26,242 of your Earth years to make its full circle. What is happening now for the last 30 years is that your solar system is moving into the photon belt and receiving great bathing of cosmic energy packets. Know that there is more beyond your visible and perceptive electromagnetic spectrum that is travelling and influencing you. All that has experience and lived with a sentient form of input through a biological device and ocular has emprinted waveforms, and has created memories and activities still in existence in dimensions or plans you term the astral realms. As your planet is raising its vibration, there are integrations of the physical to the lower astral realms, and the higher realms are coming into sight upon your world and consciousness. Specific densities are unifying or precipitating into collections of ‘like vibrations’ and perceptions of innate character. So dear souls, this is a great time because many of you have woven a new overlay of your physical bodies into a duplication of a LIGHT body that is photon based, and is linked to the present body of flesh and blood that you are. This is the activation that is occurring, and your minds and bodies are now being LIGHT based. Though this is not everyone, but many. You will know this because you have already become more aware of other life forms that are sentient, like the animals around you. Your feelings and communication to them are evident. You feel spirits and make connections to many living things. You have changed your diets and pulled away from eating of death and drinking and poisoning your bodies, knowing that when you do you feel very sick and out of balance. Your attachment to the material has become less, and you are living in the moment. Your interests are information and learning of the Universe, and you have the high LOVE for others and animals. On the other hand, the opposite is happening. People that are of the denser and lower frequency are becoming more aggressive and out of balance and full of fear and idleness. You will see them clinging like hoarders because they feel that something is going to happen and they must have around them many things to keep them enmeshed into the matrix. They are glued to their “smartphones” and spend their time drinking and doing drugs, happy with whatever stimulation and recreations of social media controlled mind links they can have to sooth them. In short, the dense are becoming denser, and the conscious ones are gaining in leaps and bounds, and these two have polarized. So in conclusion, if you have a higher LIGHT body you need to be with those of the same reality and to the Starseed Homeworlds of your families that are coming to quicken you and help you remember. So to understand this, the lower will become more base and look at you thinking you’re a “space cadet” and they are RIGHT. Make no waste of your time to the brainwashed religious entrapped and Earth-based souls, for they have selected to stay behind in the dust worlds. Be patient and loving but understand that they do not have the bandwidth for the ascension process by their frequency. Also, know that you are making transitions from your old perceptions into newer ones and have a lot to learn and experience, for you are now at the entry levels of a new frequency that is not based on the limits or perceptions of the Earth Matrix and lower forms. You will and have been traveling in the Astral realms during your “sleep” awakening, and you each have assigned spirit guides and council to educate your personality minds of the Earth plane. A great birth and transition are occurring, and you that read these words already know this. You must find your collective tribes and reflect with your kind, for this is all so new to many of you. Author theteachingsofquentialPosted on October 13, 2017 October 13, 2017 Leave a comment on GREAT AND TRANSFORMING ENERGIES ARE COMING INTO YOUR SECTOR AND ACTIVATING THE LIGHT BODIES AND CRYSTAL STRUCTURES. DARE TO DREAM AND FOCUS THE WINDS OF YOUR MIND AND YOUR IMAGINATION. THIS IS THE FORCE OF CREATION AND DESTINY IN THE UNIVERSE. How can I begin to tell you just how amazing you all are with the ability to experience, think and comprehend? This is termed consciousness, but it goes beyond. You are like a crystal that has a seed that only you, a sovereign entity, can collect and surround around the fabric of your being by the selection of your desires, hopes, views, and imagination; truly sparks of the PRIME SOURCE. As a spark of light and energy packet the medium you surround yourself with, this becomes the building blocks of the mass and image you become by the valence of your identified energy frequency pulses. The attraction you pulse combines, added to your imagination and emotional broadcasting. Thinking and feeling with our presence overlays the elements of the UNIVERSE to gravitate and become the sediment of your nature. Just remember this, the unlimited forces of PRIME SOURCE do flow through you like a magnifying lens to the sun. It is only your selection of focus that determines the energy that you can access to affect the material. What you see is how you use your lens of consciousness and you can magnify and bring into focus whatever it is you wish in your material worlds. In the liking of moist sand on the beach, you bring into the form your ideas and feelings and structure your realities as such. The point here is you are more than you think, but your thinking and self-concepts are your limits or your opportunity to excel and have abundance in your material experiences. Remember, those you choose to mate with and partner with influence your self-perceptions. For you resonate in or out of sync with their views of what you are by their concepts of themselves and their evaluations of you, ever so imprinted on your self-perception and precepts of opportunity to affect the mass you are in, in the material realms. To see this power one may only look to the effect hypnotism can do when your belief systems of what you can and cannot do have been overwritten to an engrained command. The result is you are not the optimum performance unlimited to your powers. Know this is the power of your inner and outer convictions and surround of other mental groups that form your self-imagery. When you unplug and dream again you can do anything that is within your realms to do. There are many worlds you will experience, from the material realms into the light and higher realms. When you become excited you greatly aid the forces for orbital jumping and transition. The time is now to recalibrate, as the mass of the material realm is going to make another jump of quanta vibrational leap. Some of your kind will not be able to transition into the next dispensations of reality before you by their perceptions and resonate frequencies, they are held by their actions and harmonic vibrations. Great opportunities lie ahead for your planet. Author theteachingsofquentialPosted on October 13, 2017 Leave a comment on DARE TO DREAM AND FOCUS THE WINDS OF YOUR MIND AND YOUR IMAGINATION. THIS IS THE FORCE OF CREATION AND DESTINY IN THE UNIVERSE. YOU ARE ACCUMULATIONS OF VORTICES AND ENERGY, THIS AFFECTS CONSCIOUSNESS AND CONSCIOUSNESS AFFECTS ENERGY. How can I tell you that you’re all fabrics with energy and vortices? In fact, everything is holographic vortices and everything is a gridwork at management and vibration. If you could only see how it looks on the other dimensions. Therefore, sickness is basically a disruption in the vortices and the alignment of magnetic pulses. Magnetism is more than just metal attracting metal. Energy fields can amplify and they follow the tone of the chakras. Each chakra has a certain connection and vibration and it pulses in a spin. This is why some people have strong survival energy fields or intense sexual energy, as that’s where they’re focusing their energy. Some people have acute mental energies and sense an intense awareness in their mind and sharpness. Some people have incredible heart energy that’s emanating, and some have a strong vocal expression in tones with their sound. Others are gifted with an inter-dimensional vision of past, present, and future. It’s all how you focus upon the centres in the body and connection to your soul. This amplifies your consciousness then pulls into the things you are dwelling upon. If you could just visualize and understand this you can amplify your creations and make less disruptive patterns in your life. Just as the world has energy vortices in ley lines and grid points so moisture and liquid crystal flows over these centres and amplifies over the minds of people dwelling on Earth, and even the consciousness of man affects the weather. So as you have storms and turbulence on your world you also have storms in the collective consciousness of man. Everything is a holographic energy form and the planet is making a quantum leap to the 4th and 5th Dimension. Learn to be sensitive and have chemical coherency in your body. For even this affects your vibrations which affects learning, feelings, and sound at the core of your being. Learn of the eating of food and how this affects your vibration. You are all a collective of energy so be the best you can be and your frequency, then your life will run much smoother with greater intensity and less effort. This is what happens in the higher frequencies and the opposite is true with the lower frequencies. It is all a matter of energy and current. Author theteachingsofquentialPosted on October 12, 2017 October 12, 2017 Leave a comment on YOU ARE ACCUMULATIONS OF VORTICES AND ENERGY, THIS AFFECTS CONSCIOUSNESS AND CONSCIOUSNESS AFFECTS ENERGY. TRUE WISDOM IS AGELESS, WHICH THEN SPEAKS A TRUTH ABOUT ONESELF IN A RELATIONSHIP WITH OTHERS, PARTICULARLY CIVILIZATION. Wisdom is the currency of the Soul. It is the by-product of the lessons of life and it is Universal. So if one really wants to invest in the revolution, the study of wisdom is an ancient art and how much of it is to be found in writing. The wisdom that particularly deals with the knowledge of one’s self and the behaviour of man in a sociological environment is most useful to the soul. These are the deposits each entity makes. This truly is the seeking of life purpose, the philosophy of life, the higher teachings to study and speaking of truth for one’s investment in their personal soul growth. And this wisdom is most definitely not to be confused with religion. That is great in limiting minds and making people part of a herd. Souls form together to beat others down into submission of their blinded truth taught by religion, but they are innocent. Most people on the planet are misinformed and are afraid to think for themselves as being responsible sentient beings. So when you deal with people like this just be aware you’re wasting your time, for their minds have been changed into illusion and brainwashed. Your duty in life is to yourself in the harvest of wisdom. You will know that you’re controlled by an agenda when somebody tells you that it’s not okay for you to LOVE yourself or even think about anything else but something outside of you, a religious figurehead. That I can assure you is not why you are here and as mentioned before in my earlier teachings, Karma is cause and effect, especially true to other entities and life-forms that you have hurt or damaged. In order to get the lessons in this 3-dimensional world you live in you must be fully accountable to learn of what you were doing in terms of pain and suffering to others. And once again, life here in this dimension is to teach you, it’s not eternal. I say this not to shame you or to keep you stuck but to inform you the bottom line is to gain wisdom and understanding of yourself in relationship to the world, for you are a fragment of the Prime Source presence. This is the energy of LOVE which must be embraced from yourself out of the core first. So when you have religious teachings you have a perfect recipe for wars and positions of belief systems and one-upmanship. If you kill, maim or hurt someone uttering words to a created GOD this does not change the fact that you have injured another human being and are accountable for your debt. The entities of karma that are designed here will most definitely bring you back to experience this so that you will learn and internalize it as a sense of wisdom, hence cause and effect. This is the ending of a great cycle of many souls in this turnaround of 26-thousand years. It is time now to complete your self-mastery and move on to another dimension that the world is going into. You are in a great information age at the moment, take advantage of it. Learn whatever wisdom you can and internalize it with a connection to your soul and it may save you a lot of experience unnecessary when you’ve already learned this wisdom. Think of it like studying books before a test so you can pass the grade and not even have to do additional time. The ultimate goal is for your self-learning and soul growth, not to worship some religious figurehead that doesn’t change anything within yourself. In essence, Karma forgives you when you get the lesson and embrace the lessons and wisdom. You can see why asking for forgiveness and for someone else’s blood to forgive you is totally ridiculous to the way the Universe works. It just no different than if you have a child. You want to teach it to grow up and become self-authentic and the best it can be. Your religious teachings that have been put upon your world and created by dark forces to control you systematically undermines the knowledge that you need to get to the advancement of the soul. As mentioned before, the prime source says ‘you will know me when you know yourself in perfection’. This is nothing to do with being egotistical or ‘self-righteous’ it has to do with making yourself a master and learning your Universal genuineness. Take heed to reprogram yourself into freeing yourself on these delusional implants that have been corrupting your mind and thinking. Learn to hear the whispers of your soul talking to you again, if that’s what you need to embrace. So dear souls, study and take time to learn the wisdom of the wise men, for there are many but you will not find them in religions. You will find the self-righteous there asking you for money and beating you down into submission by telling you there is only one religious godhead and the evil devil. When you connect to wisdom you feel it in your heart and it quickens the vibration. It makes you feel good and solid within yourself. So make it a daily practice to learn what you can, reflect upon the lessons of your life and upon your mistakes so that you can understand the consequences of your actions and correct your behaviour, for the future and in the moment. Author theteachingsofquentialPosted on October 11, 2017 Leave a comment on TRUE WISDOM IS AGELESS, WHICH THEN SPEAKS A TRUTH ABOUT ONESELF IN A RELATIONSHIP WITH OTHERS, PARTICULARLY CIVILIZATION.